Combine Plastic Shelf Bins from Schaefer with our R3000 Shelving units for the optimal parts storage unit. Thanks to the modular design, bins achieve maximum cube utilization. Manufactured by Schaefer from high density FDA approved polyethylene, shelf bins withstand oils and grease, and are impervious to most chemicals. 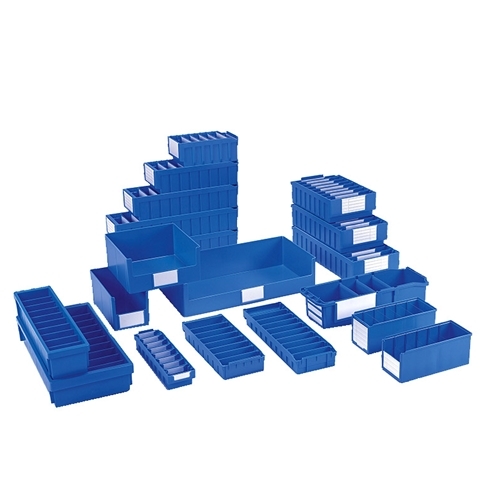 Containers and dividers available in blue color. Dividers can be labeled for improved classification of small items. Available in stock, ready to ship for fast and quality service.